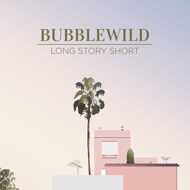 BubbleWild has a heart for different sounds. That’s why the producer from Melitopol, Ukraine mixed banging boombap drums with dreamy loops for some of his favorite rappers. But if you want the “Long Story Short”, you can also vibe to the instrumentals on the b-side. BubbleWild about the album: "This project is very personal for me. It was in the making more than a year. A lot of good and bad things happend to me. I lost a lot of people who were close to me but also gained a lot of experience. I didn’t have any more desire to make music. I lost my passion.Thats why no one has heard about me all this time. But later I realized that music is my savior. I put all my soul into this album. This is like my comeback to the game. Hope you will enjoy the vibe. Appreciate everyone. Much love. BubbleWild"